New research has found that neurons deep inside the brain could hold the key to accurately diagnosing bipolar disorder and depression. The research team used sophisticated MRI scanning to see how the amygdala – a set of neurons that play a key role in processing emotions – reacts as a patient processes facial expressions such as anger, fear, sadness, disgust and happiness. The research showed that this key structure within the brain responds differently depending on whether the person has bipolar disorder or depression. 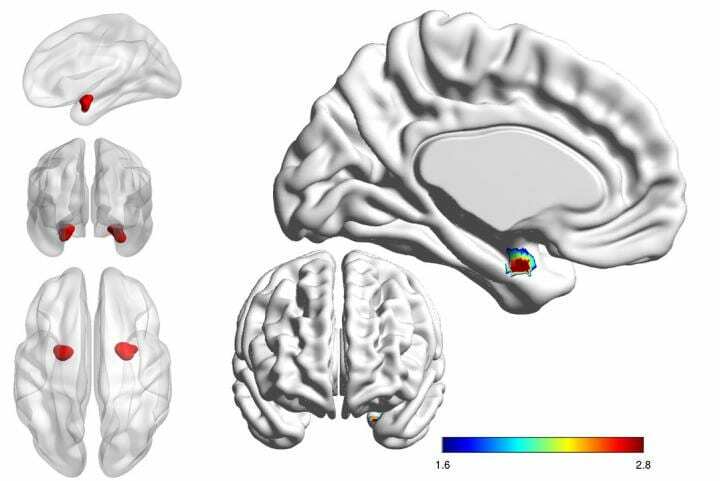 In people with bipolar disorder, the left side of the amygdala is less active and less connected with other parts of the brain than in people with depression. The findings from this study had 80% accuracy in making this distinction. Lead researcher Dr Mayuresh Korgaonkar from the Westmead Institute for Medical Research and the University of Sydney said these differences could potentially be used in the future to differentiate bipolar disorder from depressive disorders. "Mental illness, particularly bipolar disorder and depression, can be difficult to diagnose as many conditions have similar symptoms," Dr Korgaonkar said. "These two illness are virtually identical except that in bipolar individuals also experience mania. "This means distinguishing them can be difficult and presents a major clinical challenge as treatment varies considerably depending on the primary diagnosis. "The wrong diagnosis can be dangerous, leading to poor social and economic outcomes for the patient as they undergo treatment for a completely different disorder. "Identifying brain markers that could reliably tell them apart would have immense clinical benefit. "Such a marker could help us better understand both these disorders, identify risk factors for developing these disorders, and potentially enable clear diagnosis from early onset," Dr Korgaonkar said. Approximately 60% of patients with bipolar disorder are initially misdiagnosed as major depressive disorder. Alarming, it can take up to a decade for these patients to be accurately diagnosed with bipolar disorder. Bipolar disorder often first presents in the depressive phase of the illness and bipolar depression is similar to major depression in terms of clinical symptoms. Emotion processing is a core problem underlying both these disorders. Dr Korgaonkar and his team are now running phase 2 of this study, which aims to further characterise these identified markers in a larger cohort of patients. The research paper has been published in a leading international scientific journal Biological Psychiatry: Cognitive Neuroscience and NeuroImaging https://www.sciencedirect.com/science/article/pii/S2451902218302362. The National Health and Medical Research Council (NHMRC) funded this study. The study was led by the Westmead Institute of Medical Research and the University of Sydney, and completed in collaboration with colleagues from Westmead Hospital, Royal North Shore Hospital and Stanford University.